Jordan Brand has just released its first colorway of the L’Style II model this in the form of the black/white colorway on Nike’s online store for $110. This newly-designed, high-top sneaker contains a primarily black patent leather-textured base with a hint of black mesh around the collar. To finish it off, this L’Style II contains a traditional, white sole and a black visible Air sole unit. 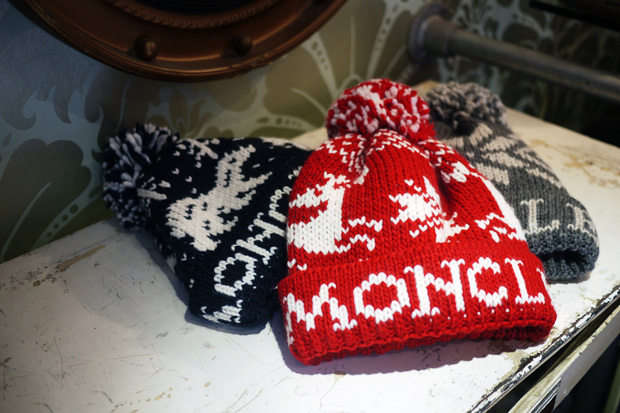 For those looking to get an early start on their winter wardrobe, Moncler gets the ball rolling with a new collection of beanies. Winter-relevant patterns are seen over three themes, Blue Polar, Red Deer and Grey Falke. The beanies are made in Italy and all are available now from Mr. Start. COMME des GARCONS recently linked up with retailer EXI.T on a capsule collection. The line features a series of graphic tees, which of course highlight the popular PLAY heart design. These have made their way to London and are now available through Dover Street Market, which has set-up a special installation for the collection. Jordan Brand previews two upcoming colorways in its Air Jordan Alpha AJ1 Outdoor. 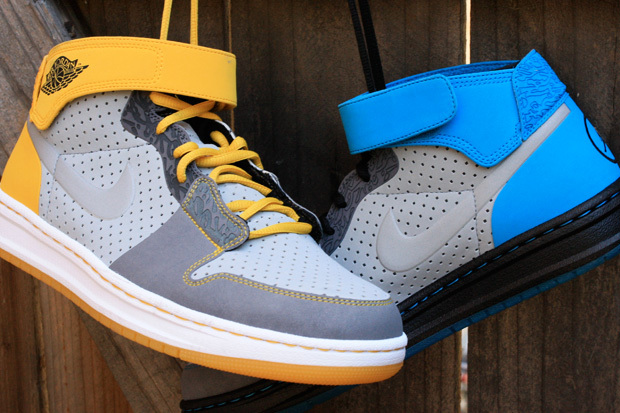 Both a laser blue and varsity maize are seen, each taking on the spirit of the Air Jordan 1 and adapting it for outdoor play with more rugged and durable features. Look for these, along with several other colors, to drop next month via Jordan Brand retailers. You are currently browsing the KidsFroMars blog archives for July, 2010.